The Fleck NXT2 advanced system network controller features user-friendly upgrades and strong connectivity. 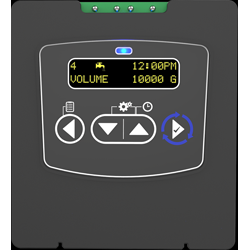 This multi-valve system controller expands the current capability from four to eight valves, decreasing installation and setup time. Its plug-in wire harnesses further increase efficiency, and its high-contrast OLED display improves readability.